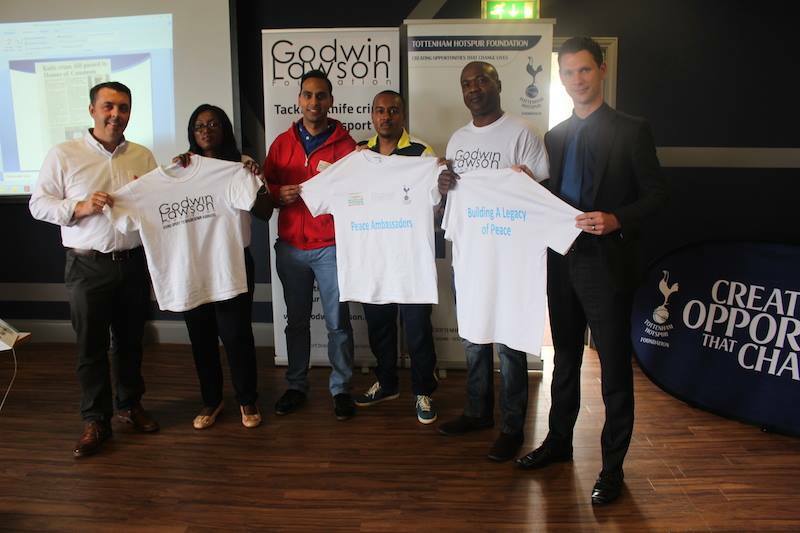 The Godwin Lawson Foundation is a registered charity commemorating the life of Godwin Lawson, and set up to advance the education of young people so that they can develop their capabilities as members of a tolerant society. We do this through personal development, educational and sporting activities that improve the self esteem of young people; helping them to develop a team spirit while also raising awareness of social issues and cultural diversity. On Saturday 27th March 2010, 17 year old Godwin Lawson was walking home with his friends in North London when they were attacked by a group of men. The attack was unprovoked and when Godwin went to help his friends he was fatally stabbed. His life was abruptly taken away from all who knew and loved him. One of the most worrying factors in today’s “postcode wars” between gangs is the issue of where someone’s life becoming increasingly synonymous with affiliation to a gang. This means a significant number of young people are exposed to gang culture solely because of where they live. This can lead to young people’s isolation, ostracism, prejudice, and genuine fear of not being able to venture into certain areas of their boroughs or other parts of London without being attacked. We believe that early intervention can be a fundamental element in combating postcode and area rivalry on our London streets. The Godwin Lawson Foundation invests in young people who want to be a part of positive community initiatives and helps them to develop so they can lead rich and fulfilling lives and contribute to a safer society. • To support young people, thereby helping them to identify their passion, enhance their decisionmaking skills achieve their full potential. • To implement projects that take young people out of the gang lifestyle and prevent them from joining gangs. • To invest in young people who want to be a part of positive initiatives to reduce gang involvement and help to make their communities safer and stronger. • To raise awareness of the impact of gun and knife crime and the positive role that sports and education can play in challenging gang culture. The charity is very active in lobbying for changes in knife crime law and Yvonne often discusses her experience to publicise the dangers of carrying knives and the effects of knife crime on family members, friends and the wider community. Spearheaded by Yvonne and Calvin Lawson, the charity has successfully led the campaign to effect a change in the law for those carrying knives. The Criminal Courts and Justice Bill, championed by ex- Enfield North MP Nick de Bois and Enfield Southgate MP David Burrowes, imposed a mandatory jail term for people caught carrying a knife for a second time in June 2014. An amendment to the bill was also passed, adding mandatory detention sentences for under 18s caught committing the same offence.